Christmas is a few days away. 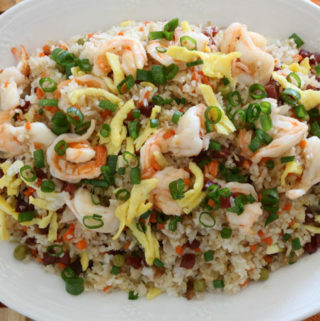 If you haven’t yet decided what to serve for Noche Buena check out our delicious list of food. Get your shopping list ready. Majority of these food can be prepared days before your gathering so you can relax and enjoy the company of your family and friends. Merry Christmas to All and a Big Thank You to all who supported and continue to visit our site. It is a great and rewarding year! 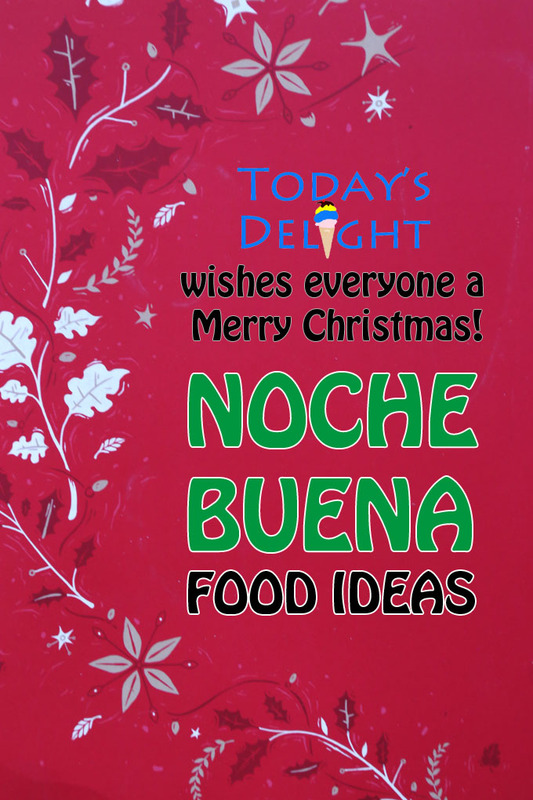 Noche Buena is a Spanish word for Christmas Eve. 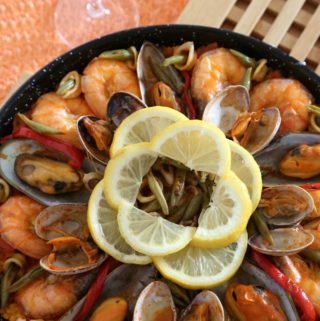 The Philippines was under Spanish rule for almost 400 years thus adapting many Spanish tradition and food. Filipinos usually celebrate Christmas starting the night of December 24th until the wee hours of December 25th. Honestly, you’ll start seeing Holiday decorations starting September. Christmas and New Year is a big celebration for Filipinos. I miss celebrating Christmas and New Year back home. We were always in the company of family, relatives and close friends. Food was abundant. Everyone brings their specialty. 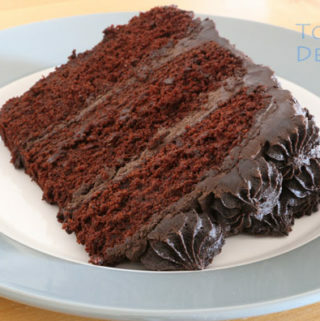 It is a night of non-stop eating and a wrong time for dieting. I remember my mom wrapping so many gifts before Christmas. As I got older I helped her. For many years it became a tradition for our family and a close family friend to spend Christmas in Baguio City. It was a week full of fun and food. After coming back from a night out we spend all night playing cards. We waited for our parents to go to bed so we can sneak out and have a cigarette. We were so lucky that places our parents booked had balconies. When I moved to the US we continued our Christmas tradition. 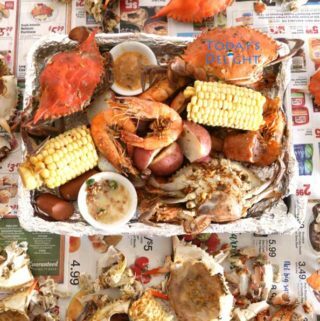 A table full of our favorite food. It is normal for Filipinos to carry home a to-go bag full of the delicious left over food. 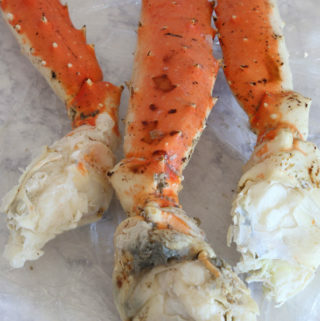 Who wants to cook on Christmas Day. The only thing I prepare on that day is coffee. 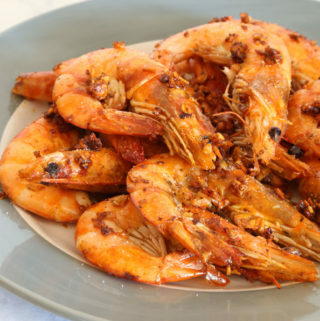 Here are Some Food ideas for Noche Buena. 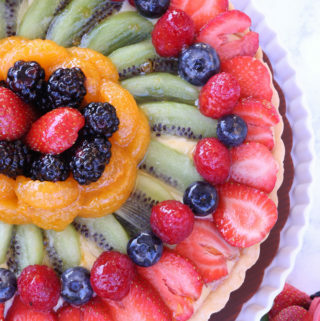 Note: Click the links to get the recipe and to watch the video on how to make it. 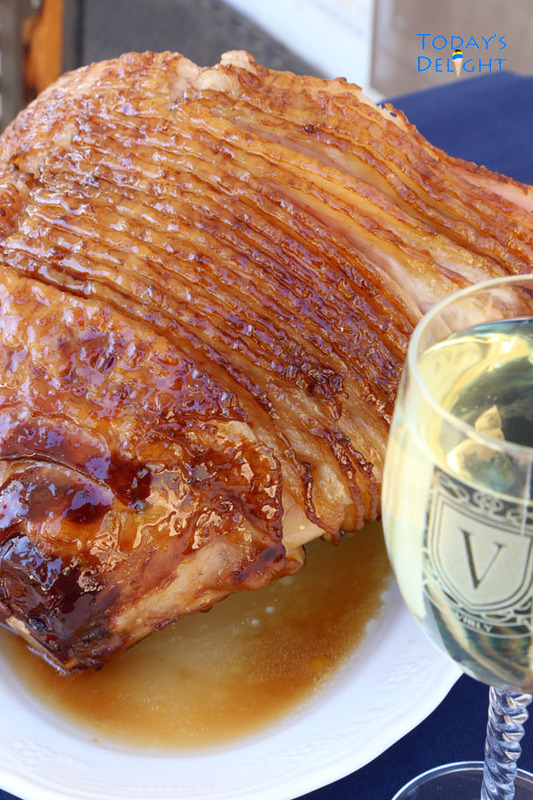 Growing up my mom made a delicious Spanish style ham. It was salty and dry not the typical moist ham. I can’t find that type here in the US. 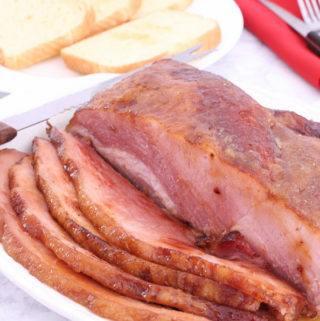 Instead we get the Spiral Sliced Ham or Carve Ham from Costco or Sam’s and it is delicious as well. 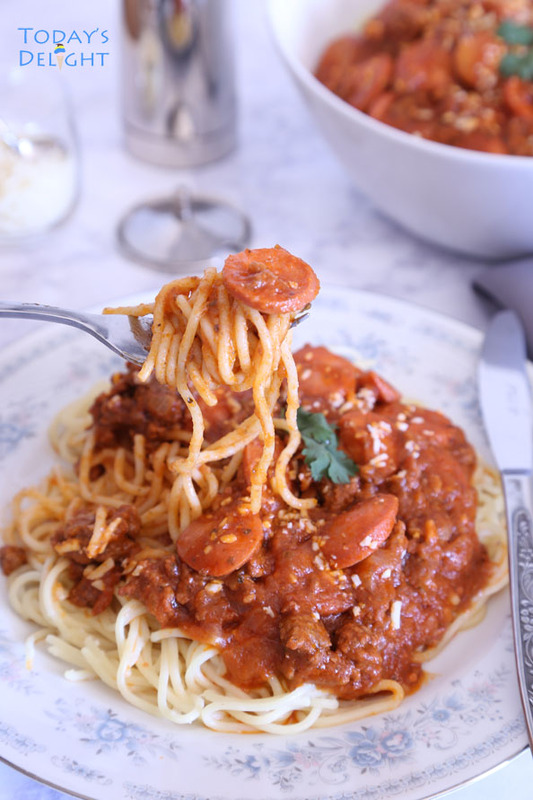 Filipino Spaghetti is always present in any gathering. 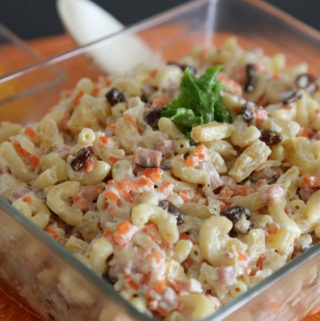 Great for office potlucks. Kare Kare is another popular dish cooked in creamy peanut sauce and served with shrimp paste (bagoong). 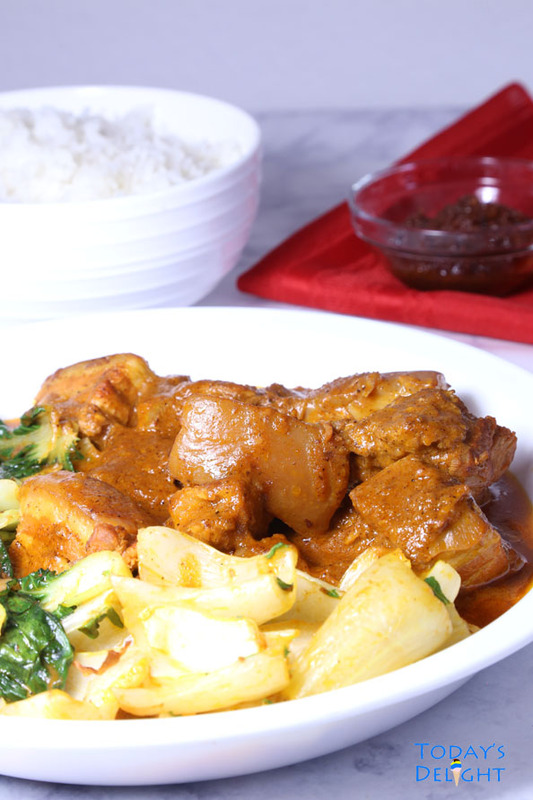 There are a few variants of Kare Kare like Oxtail and Tripe Kare Kare, Pork Bellly Kare Kare or Seafood Kare Kare. Instant Pot Pork Belly Kare Kare will be featured soon. 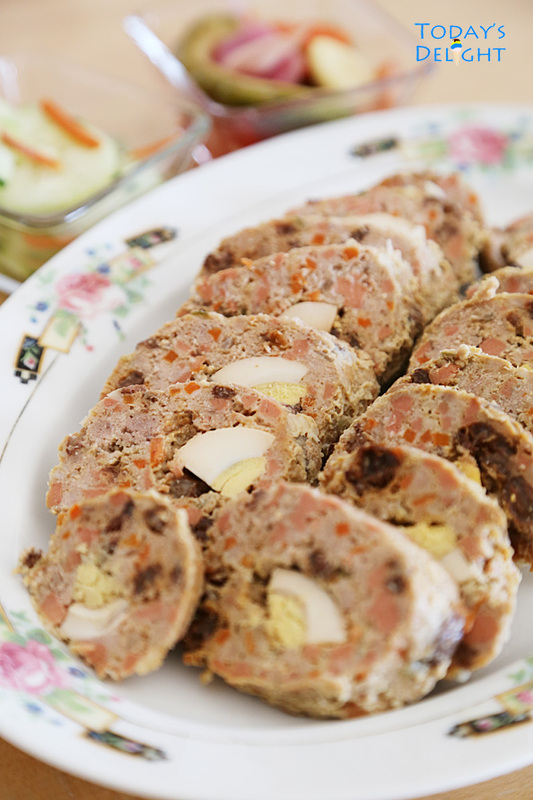 Morcon is a beef roulade filled with long strips of bacon, hot dog, cheese, dill and sliced eggs. 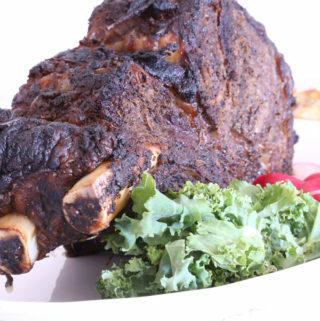 Beef is marinated in a savory mixture of lemon or calamansi, ground pepper and soy sauce for a few hours before rolling it into a log. 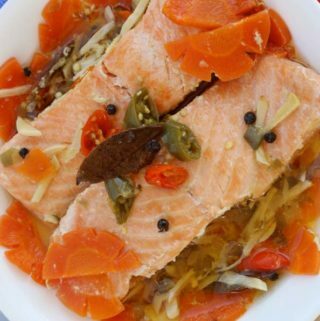 It is sautéed and simmered in the marinade. Morcon when sliced looks festive with different colors at the center of the roulade. Instant Pot Morcon will be featured soon. 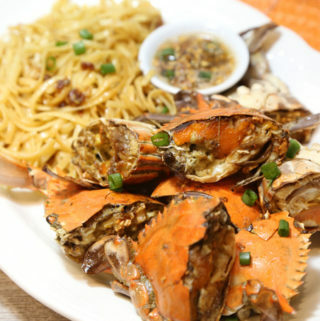 Filipinos love seafood. 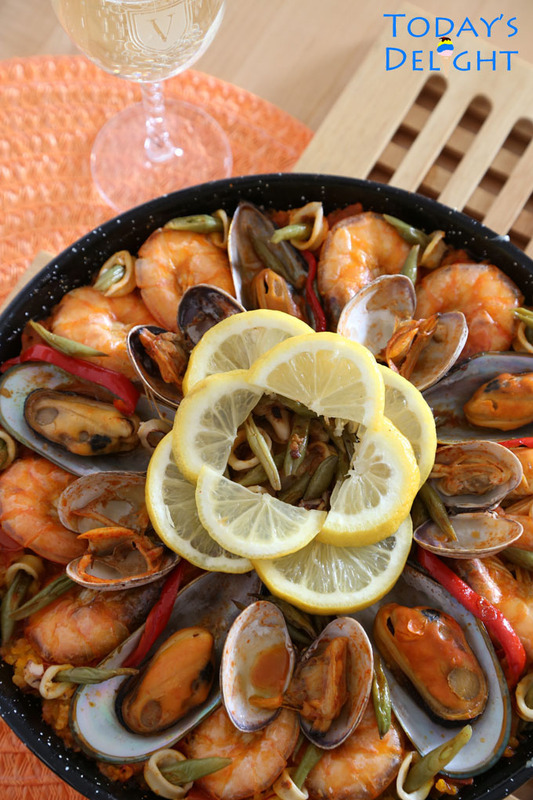 Seafood Paella is everything that you would want for Noche Buena in one dish. 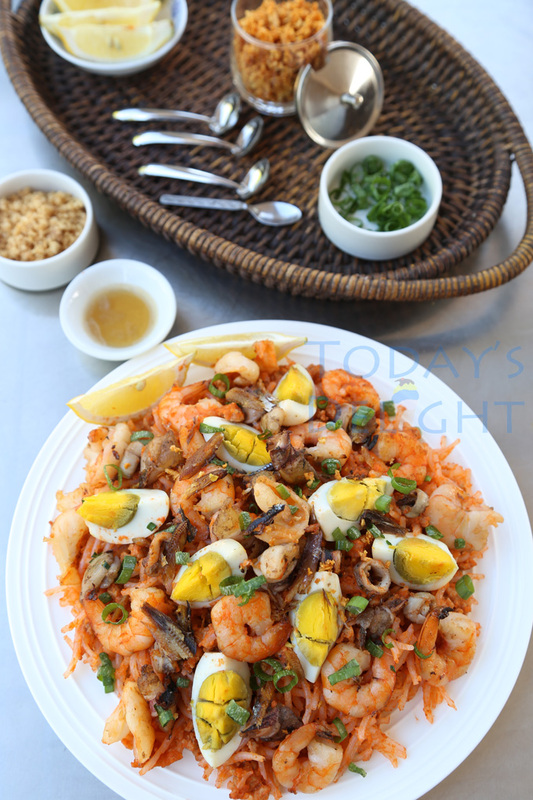 Bringhe is Philippine’s version of paella. It is made of glutinous rice, meat and seafood cooked and simmered in coconut milk and flavored with turmeric. 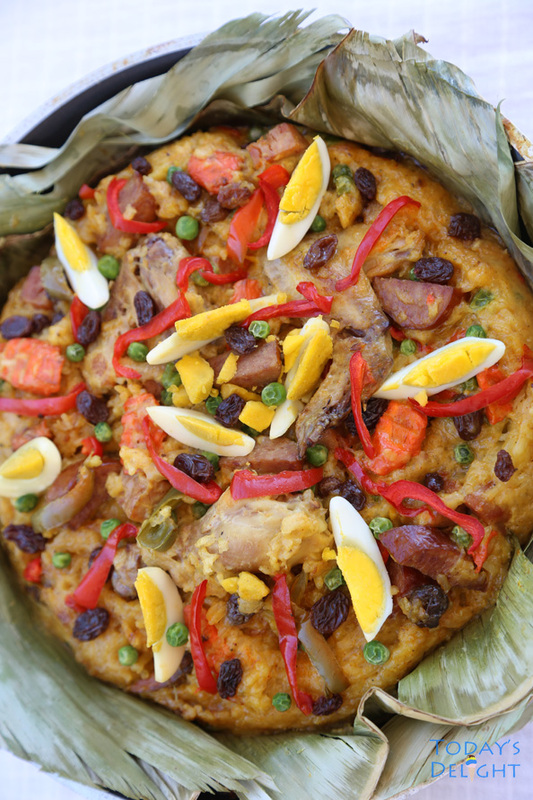 This delicious rice dish is bursting in colors so Christmasy. Any Filipino gathering is not complete without any of these noodles, Pancit Malabon, Pancit Bihon, Pancit LugLug or Palabok. No time to prepare ham. 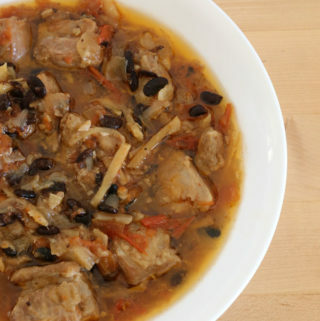 Make Pork Hamonado instead. 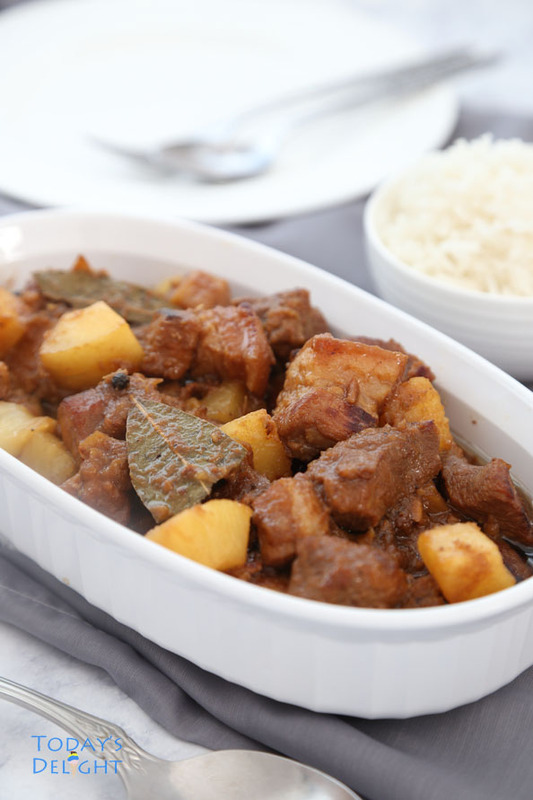 This is a savory pork dish marinated and cooked in pineapple. Let say all these food make it to the table for Noche Buena, guess what my first choice would be. 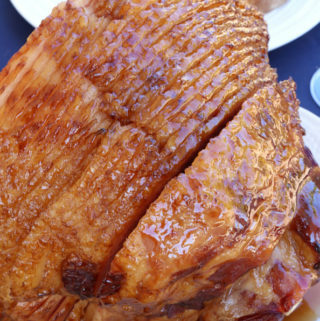 Definitely Lechon Kawali. I know it’s not very healthy but if you only have it once in a while you might as well INDULGE. It is Christmas. 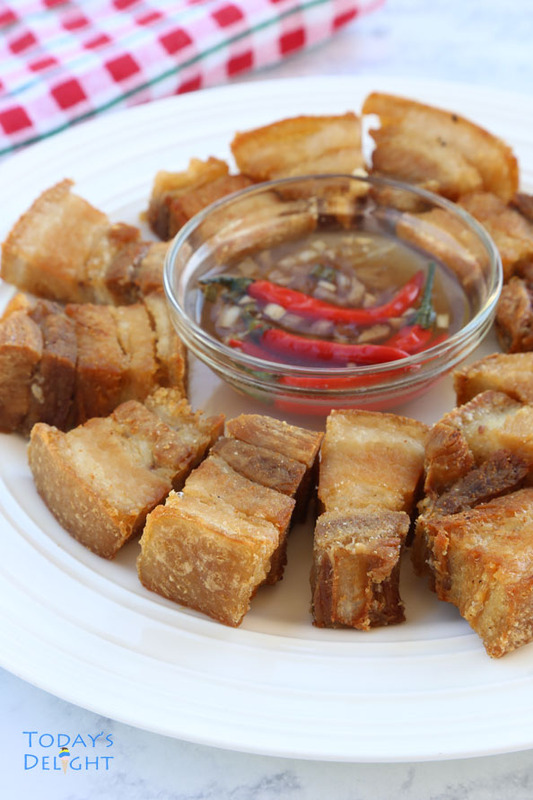 This pork belly with skin is boiled, seasoned and deep fried until crispy. 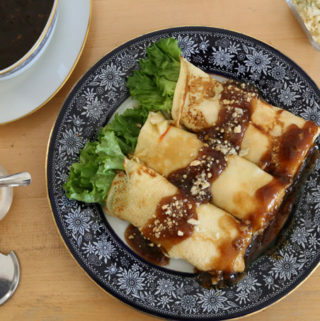 Usually serve with the thick Mang Thomas sauce or spicy vinegar garlic dip. One of my favorite pasta dish. 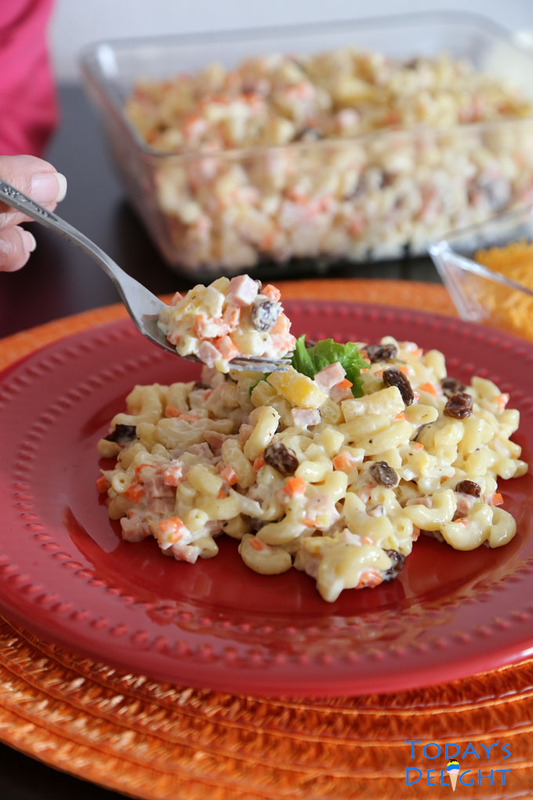 Now that I live in the US I seldom see Chicken Macaroni Salad in any gathering. Don’t know why it is so underrated. 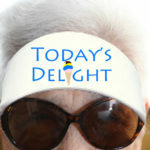 It is creamy and delicious. 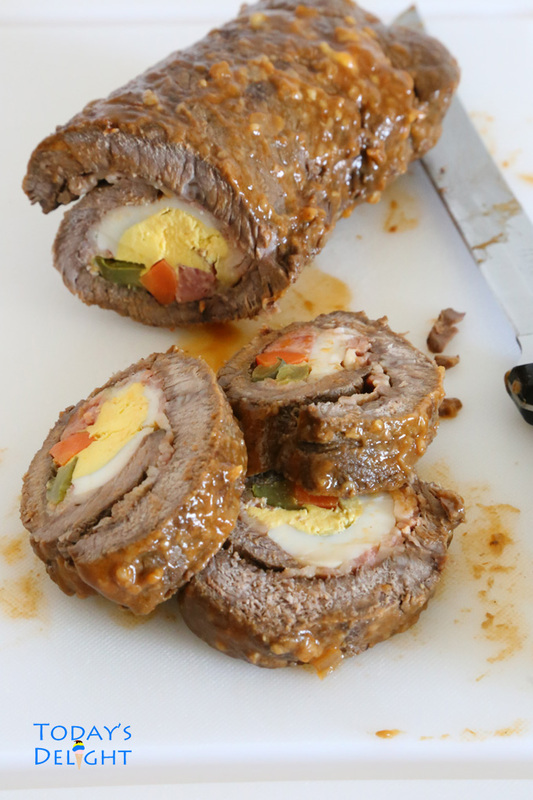 Embutido is the Philippine meatloaf. 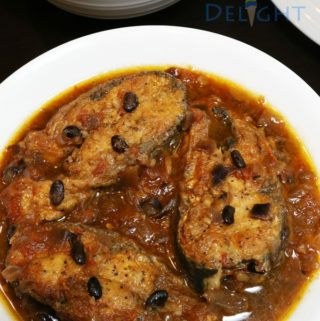 It can be eaten as an appetizer or main course, warm or cold it is delectable. Pairs well with banana ketchup and lots of rice. It freezes well for a month or so. 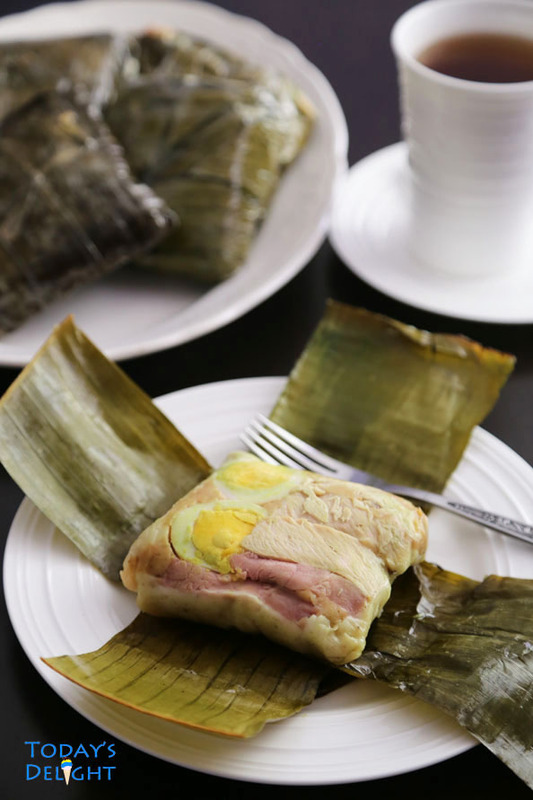 Filipino Tamales is a rice cake made with rice flour and coconut milk topped with peanut butter mixture, strips of chicken, pork, ham and wrapped in banana leaves. 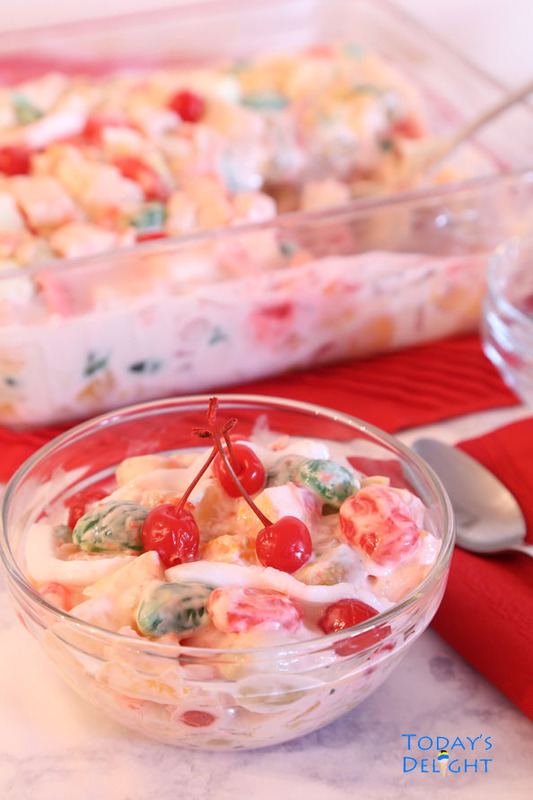 Filipino Fruit Salad is a creamy combination of fruit cocktail, banana (lakatan), sugar palm fruit (kaong), young coconut meat, cream and condensed milk. This is as festive as you can get. A burst of colors. Serve cold. 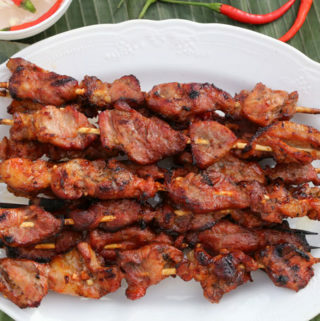 I still wonder if Food for the Gods originated in the Philippines. 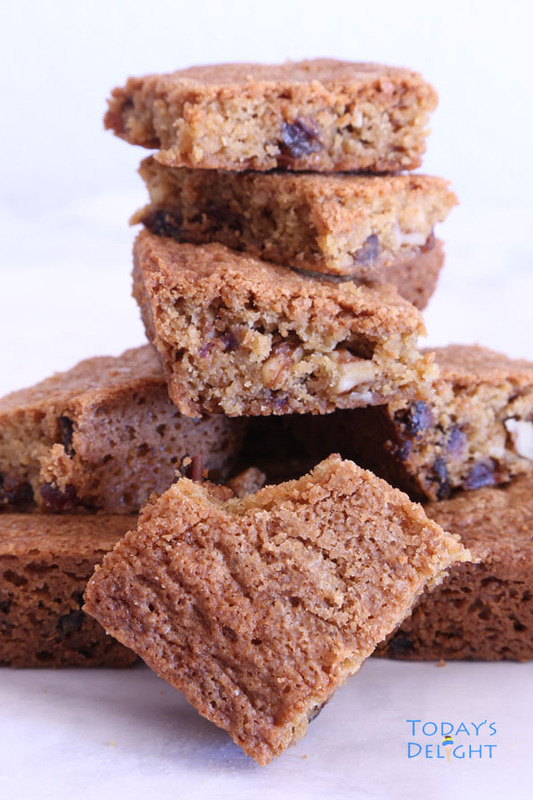 It is a fruit bar made with dates and nuts. The great thing about this dessert it uses less sugar since Medjool Dates in itself is already sweet. Leche Flan is the traditional dessert in the Philippines. Although it is very good I only make it once a year or when my brother is visiting. It is made of egg yolks and milk. Coming soon!